Please excuse any typos or misspellings in this story. I’m writing it after spending my Tuesday lunch hour drinking cocktails at The Punch Room, the Ritz-Carlton’s swanky cocktail bar. Why? For work, of course. 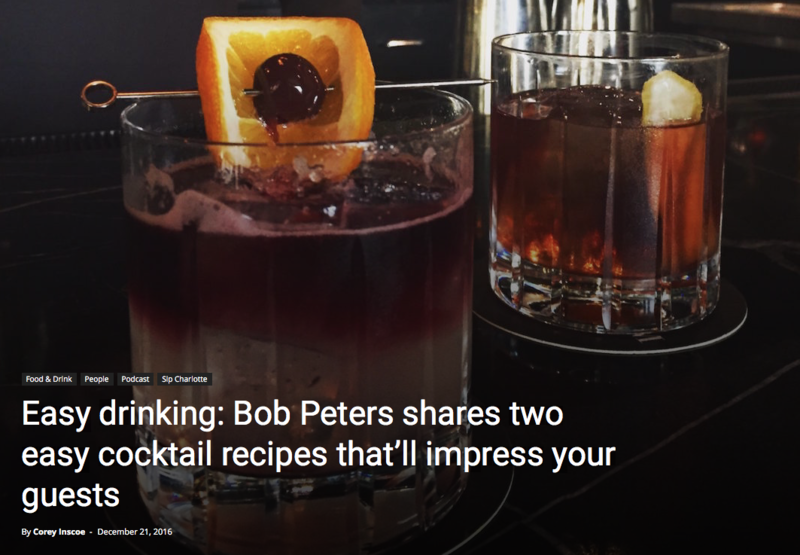 For this week’s CharlotteFive Podcast, we ventured out of the studio and into The Punch Room to talk to arguably Charlotte’s most popular mixologist, Bob Peters. This entry was posted in Press and tagged article, bars, bartender, Best cocktail bar, Best mixologist, Bob Peters, bob the bartender, bobthebartender, Charlotte, charlottefive, cocktail, Cocktails, james beard, mixologist, mixology, outstanding bar program, podcast, punch room, punch room ritz, the ritz, the ritz charlotte, The Ritz-Carlton.